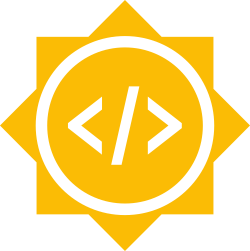 This wiki page serves as the GSoC portal. Please feel free to contact us via list for clarifications and more information. You can also use the IRC channel, . Fedora has been accepted as a mentoring organization. Student applications open on 20 March. If you’re interested in working on an existing project, read up on the project and the related technology. There is no need to contact the mentor unless you have a specific question about the project. Don’t send "I’m interested" email. If you’re interested in proposing your own project start looking around the Fedora Project for a mentor and send your idea to the mailing list or post it on the wiki. If you’re interested in working with a student you should post your idea to the idea page. Do you want to contribute to one of the world’s leading and innovative Linux distributions? GSoC could be your chance. Please refer to the material below and start contacting mentors. Why spend your summer working on FOSS? When you work in the open on free software, you create a body of work that follows you for the rest of your life. Rather than a coding assignment done by thousands of other students and relegated to the bottom of the drawer at semester’s end, working in FOSS is a chance to contribute to a living project. Work with real-world, large codebases. Collaborate with real engineers and other professionals. Contribute to something meaningful while learning and earning. Learn tools and processes that are just like what you are going to use if you work in technology after graduation. Make friends and contacts around the globe. Attract attention that can lead to an internship or job after graduation. Create lifetime connections and associations. Our project is large and diverse. We are very experienced at working with new contributors and helping them be successful. Many of our contributors are long-time contributors. They remain because they want to keep growing the project and to lend their expertise, advice and mentoring to you! People who stay around the community and do good work are noticed. They get hired for jobs from it, including being hired by Red Hat. Past Google Summer of Code students were hired by Red Hat, as well as interns in various positions. This is just an example, as experience and reputation in the Fedora Project communities is influential in your career in many ways. As a long-standing community with many facets, it is possible for you to find many rewarding sub-projects to work on. You should know that contributing to FOSS doesn’t require you to have super programming skills, or super-anything else. You just need be interested, curious, and willing to become comfortable being productively lost. This is the state of learning. You learn by finding your way around and figuring things out with the support of your mentor and the community. You are the key ingredient for your project’s success. This project is important to you, your mentor, and the entire Fedora Community. Communicating early and often with your mentor. Blogging every week about what you’re learning, how you’re doing, challenges and successes. This is key way to keep the entire Fedora Community informed. Working with your mentor on realistic achievable milestones that provide for regular deliverables and feedback. Please read and follow the application_process.adoc. Want to help the next generation of contributors grow? Want to bring new contributors to Fedora? Want to advance your projects along their roadmap? GSoC can be a chance to do all of this. The contributors of the Fedora Project can propose ideas and mentor them. Please feel free to check following links and please add your ideas to the main idea page. Furthermore, if you are not interested in proposing an idea but still want to support the program, please check the students' idea page and pick one as per your interest. Lastly, consider becoming a Supporting Mentor and helping students across projects. One way is to provide an idea for students to work on. This idea might be very well planned out, in which case you may need a high-level of contact with the student to get it implemented correctly. Other ideas may be more general and require more planning during onboarding. It is harder to find success when you are completely certain of how an idea needs to be implemented; finding a student with the skills and interest to implement a specific solution is a lot harder than finding a student with enough skills to respond to a use case need. Also, students learn more when they help design and guide the project. In other words, provide guidance and direction but let the student do some of the "driving." Where you can have looser ideas, you may be able to find a student who works as a sort-of intern who can implement a solution to a use case you have. In past experiences, students going after a use case are more likely to get somewhere with self-direction and support from you. You may also want to work with a student who brings an idea to your sub-project. This requires a different level of communication throughout the project, but can be the most rewarding. You are an essential part of the student’s success, the project’s success, and the success for the Fedora Project. Being an interface for an identified sub-project or SIG in Fedora. Helping students communicate with the overall project and any upstream. Helping the student plan realistic achievable milestones that provide for regular deliverables and feedback. Regular communication with your student. This means you must be regularly available for the entire project. If you take a holiday you need to know early and help your student be ready for your brief absence. Attend a brief monthly mentors call. Be the final, accountable person for deciding if the student is successful or not. This is responsibility akin to being a professor or boss. 10 October, 2016: Program announced. 19 January, 2017: 16:00 UTC Mentoring organizations can begin submitting applications to Google. 09 February: 16:00 UTC Mentoring organization application deadline. 10 - 26 February: Google program administrators review organization applications. 27 February 16:00 UTC List of accepted mentoring organizations published on the Google Summer of Code site. Interim Period: Would-be students discuss project ideas with potential mentoring organizations. 20 March: 16:00 UTC Student application period opens. 03 April: 16:00 UTC Student application deadline. Interim Period: Slot allocation trades happen among organizations. Mentoring organizations review and rank student proposals; where necessary, mentoring organizations may request further proposal detail from the student applicant. 04 May: 16:00 UTC Accepted student proposals announced. Community Bonding Period - Students get to know mentors, read documentation, get up to speed to begin working on their projects. 30 May: Students begin coding for their Google Summer of Code projects; Google begins issuing initial student payments provided tax forms are on file and students are in good standing with their communities. Work Period: Mentors give students a helping hand and guidance on their projects. 26 June: 16:00 UTC Mentors and students can begin submitting Phase 1 evaluations. 30 June: 16:00 UTC Phase 1 evaluations deadline; Google begins issuing mid-term student payments provided passing student survey is on file. 28 July: 16:00 UTC Phase 2 evaluations deadline. 21 to 29 August: 16:00 UTC: Final week: Students tidy code, write tests, improve documentation and submit their code sample. Students also submit their final mentor evaluation. 29 August: Mentors can start submitting final student evaluations. Late October: Mentor Summit at Google. Mentors and Organization Administrators from each participating organization are invited to Google for an unconference to collaborate on ideas to make the program better and to make new friends too! In order to get questions answered or obtain more information related to this year’s GSoC with Fedora, please contact the administrators directly (please consider CCing the summer-coding list where ever possible).